Independent U.S. Sen. Angus King of Maine says he is "saddened" and "concerned" about the Trump administration's moves regarding opnen enrollment for the Affordable Care Act, saying he believes the president is intentionally making it more difficult to sign up. After months of protests, and several failed attempts to repeal and replace it, open enrollment is about to begin for the Affordable Care Act. Some senators who fought to keep the health care law say they're still working to support the ACA. 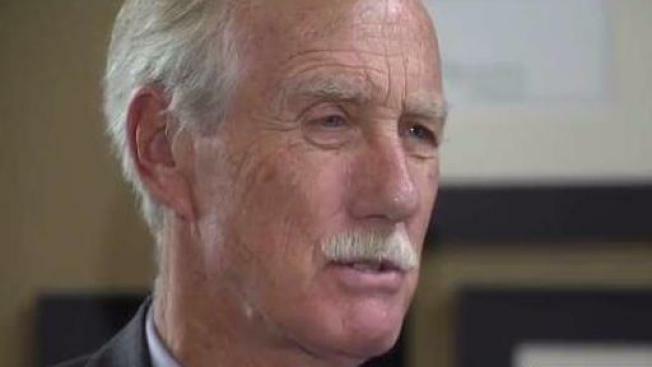 "The Affordable Care Act isn't collapsing, it's being mugged," said Sen. Angus King of Maine. The Independent has opposed Republican efforts to repeal and replace Obamacare, and he worries that the Trump administration is attempting to undermine the ACA by making it harder to sign up. "I'm saddened by the actions of the administration," he said. Instead of a three-month enrollment period, this year, the sign-up window is only six weeks long, from Nov. 1 to Dec. 15. On most Sundays during the enrollment period, the ACA website will be shut down for 12 hours. "I am concerned that actions taken ... were deliberately done in order to undermine participation, and therefore viability," said Sen. King. "But I don't think it's going to work." Sen. King held an event at the South Portland Opportunity Alliance with providers and ACA Navigators to get the word out about enrollment, and the variety of plans available. Deril Stubenrod, a Sidney resident who had a plan through the ACA in 2011-2012, said he would want to see major health care reforms before signing up again. Stubenrod said the premiums were too expensive, and the system was too difficult to navigate. "I understand why President Trump wants to have something different," he said. "As it exists right now, I would not be able to recommend the ACA." Stubenrod said he would advise potential ACA buyers to do their homework and compare plans. Sen. King highlighted the "ACA Navigators" on hand at The Opportunity Alliance, people trained in the health care website who can help consumers find the most appropriate plans. "This is a critically important program that's insuring tens of millions of people in this country," said King.